One-piece construction. 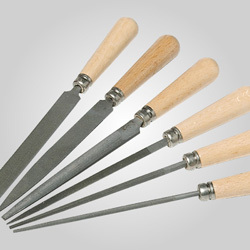 All have 1/4" shanks, overall length 2". 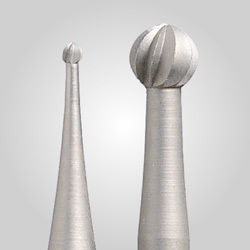 Made from laboratory-certified raw material, these solid carbide burs are machine-ground by CNC, producing geometric uniformity in shape and depth of flute. Controlled material selection and CNC manufacturing ensure high product consistency from order to order for dependable cutting action and much longer bur life. Can be resharpened. Also available in a money-saving set, see "Related Products" below. These are suggested speeds only. 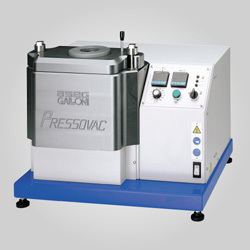 Faster and slower speeds may be used for different materials. 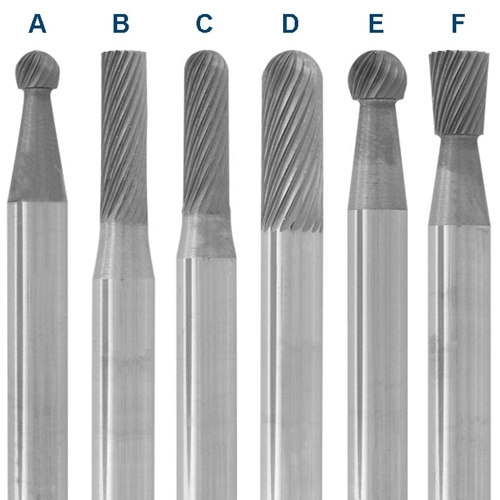 Bur Cutting Diameter: 1/16" 3/32" 1/8" 3/16" 1/4"